We have Google Adsense on this site. When a visitor clicks on an ad, we get a very small commission. The Google Ads are clearly marked as such, and we have no control over which ads are presented. So, if an ad seems to match the written material or photo near it, it is a coincidence. We are affiliated with a few companies. This means when you see an ad, click over to their site, and make a purchase, we receive a very small commission. We carefully seek out only quality products. We never receive any monetary compensation for presenting these links, and rest assured that any product reviews we may write are are our honest opinion and never, in any way affected by our affiliations. Regarding our Amazon links: Dachshund Owner Guide is a participant in the Amazon Services Associates Program, an affiliate advertising program designed to provide a means for sites like ours to earn advertising fees by advertising and linking to Amazon. It is our goal to only present our visitors with the best products. We sincerely appreciate our visitors, and their loyalty. 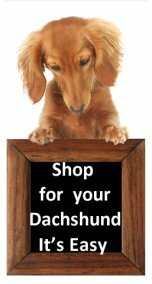 One way you can help us continue to dedicate as much time as possible to Dachshund Owner Guide Site is to support our affiliates. 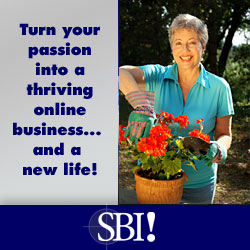 By making a purchase through one of our links, you make the difference for the sites continued success. We recognize that your privacy is important. This document outlines the types of personal information we receive and collect when you use Dachshund Owner Guide, as well as some of the steps we take to safeguard information. We hope this will help you make an informed decision about sharing personal information with us. Dachshund Owner Guide.com strives to maintain the highest standards of decency, fairness and integrity in all our operations. Likewise, we are dedicated to protecting our customers', consumers' and online visitors' privacy on our website. reviewed, used to improve the content of our website, notify our visitors of updates, and respond to visitor inquiries. give us is provided to them for cookie or web beacon use, so they cannot personally identify you with that information on our web site. continue. In that event, you will receive notice through our website of that change in control and practices, and we will make reasonable efforts to ensure that the purchaser honors any opt-out requests you might make of us. policy. We encourage you to periodically review this policy so that you will know what information we collect and how we use it. Dachshund Owner Guide provides this website as a service. The materials contained on this website are provided for general information purposes only and do not constitute legal or other professional advice on any subject matter. Dachshund Owner Guide does not accept any responsibility for any loss which may arise from reliance on information contained on this site. without the prior written consent of Dachshund Owner Guide. of the linked site, its operator, or its contents (exceptions may apply). Reproduction, distribution, republication, and/or retransmission of material contained within this website are prohibited unless the prior written permission of Dachshund Owner Guide has been obtained.